Morning and evening, you laser-focus on applying serums, moisturizers and anti-aging serums on your face. But are you paying attention to the area south of your visage? By the time women enter their 40s, 50s or 60s, many notice their necks look much older than their faces. This is because the skin on the neck is thinner, dryer and more subject to movement (think about how much you turn your head or pivot it up and down). On top of that, the neck has very few sebaceous (oil) glands, which means it has a decreased ability to moisturize itself. Most of all, many people forget to extend their skin care to their necks, leaving the vulnerable area without the moisture and targeted ingredients it requires to maintain a youthful look. All of this amount to one thing: the quicker manifestation of the visible signs of aging. 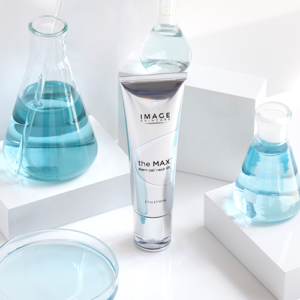 Loaded with peptides and plant stem cells, IMAGE Skincare’s The MAX Stem Cell Neck Lift helps rejuvenate the appearance of aging neck skin with ingredients that specifically address its unique needs. One of the benefits of using a neck cream is that it can make crepey “turkey neck” skin appear more tight and taut. The MAX Stem Cell Neck Lift features powerful peptides and plant stem cells that work in synergy to bestow a youthful look to skin. Plant stem cells are how plants repair themselves from damage, and there is growing research to suggest this same concept can potentially be applied to human skin to help improve its appearance. In this age of constant cell phone use, horizontal neck wrinkles are becoming more and more common thanks to us spending hours with our necks bent toward our electronics. 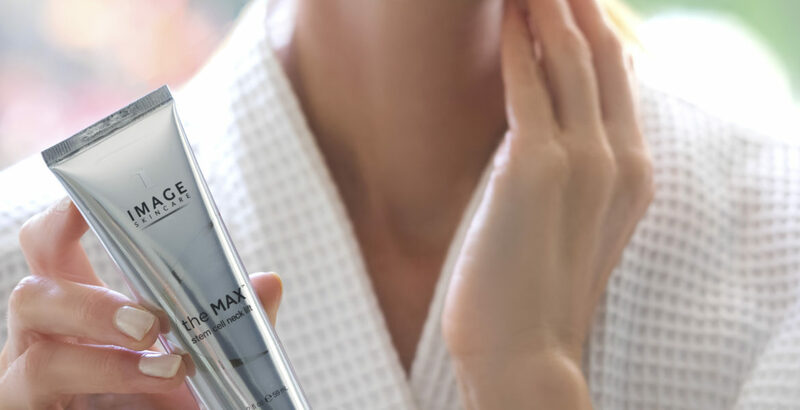 The peptides in the MAX Stem Cell Neck Lift cream can also help decrease the appearance of fine lines, creases and wrinkles, making the neck look smoother and softer. A good neck cream will help you battle the ravages of time with grace. Intrinsic aging may be inevitable, but we do have some control, not to mention some very powerful skincare options, against extrinsic ageing. The right neck cream will not only boost the appearance of your neck as it stands, but it can also slow down the visible consequences, such as sagging and wrinkling, caused by environmental factors. So the next time you’re applying that expensive moisturizer all over your lovely face, take a look below your chin and remember that your neck needs some tender loving care, too. Great article! Neck creams are a must if you have neck wrinkles. Most women have this problem as they age and this article goes a long way to help get rid of neck wrinkles. I agree with you that the neck is the most over looked area for treatment. Women with neck wrinkles can now treat their problem skin on their necks with products that really work.